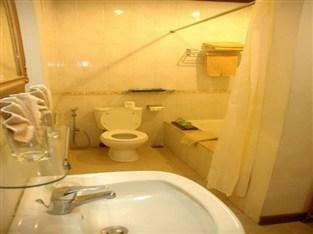 The rate is 50% off the hotel’s room rate. 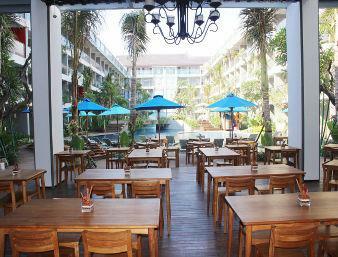 Breakfast is not included. 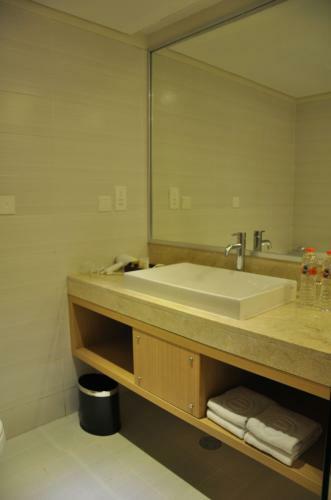 The estimated rate after discount (subject to the seasons) is ranging from Rp 200,000 (Standard) to Rp 1,000,000 (family suite 3BR, living room, kitchen). 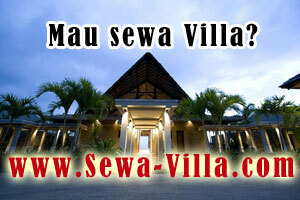 Info Tambahan: A security deposit of Rp 500,000 is required. 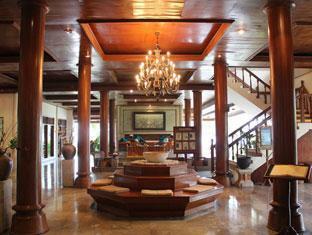 This deposit will be refunded when you return the membership card. 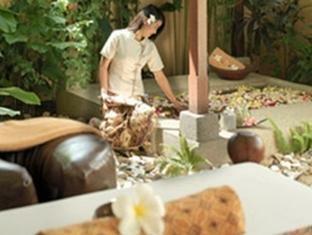 Upon booking, you will be given the voucher and the membership card to be entitled for the discount. 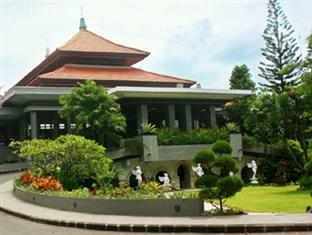 The membership card must be returned to the owner (myself). 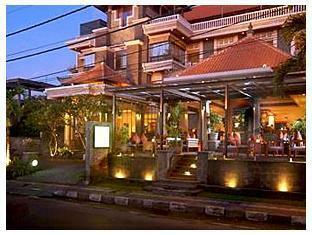 Deskripsi: Ideally located at Kartika Plaza street just a few minutes away from the attractions and excitement that Kuta has to offer. 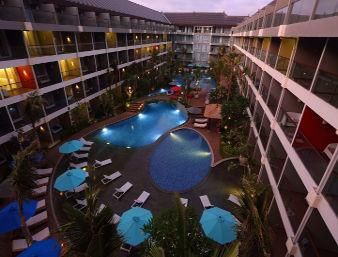 An intriguing array of restaurants, café’s, fashion boutiques, a beach front shopping mall, water park and the stunning Kuta Beach with its breathtaking sunset, is just at your the doorsteps. 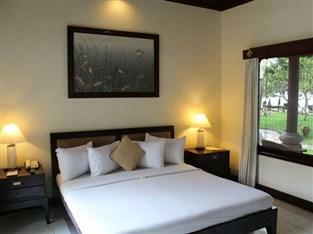 Given high attention to detail their rooms are fashionably designed in a muse-style encircling the tropical garden and swimming pool providing a beautiful scenery and a refreshing ambiance from the flowing blue waterfall. 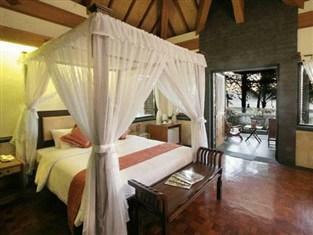 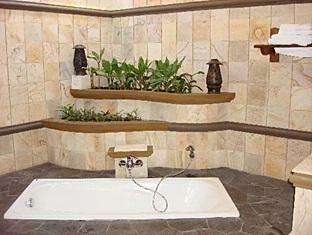 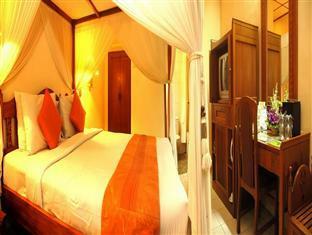 They feature replenished rooms that are decorated in a chic tropical style with lots of teak wood giving a natural feel. 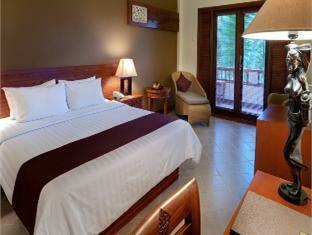 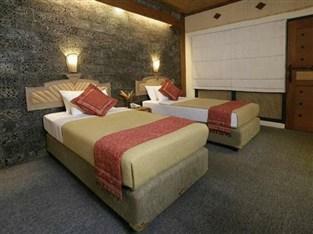 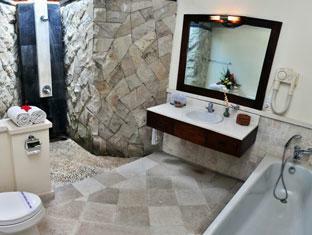 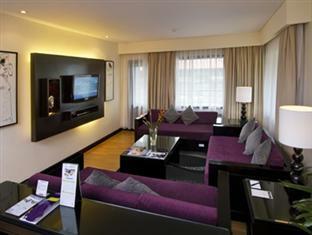 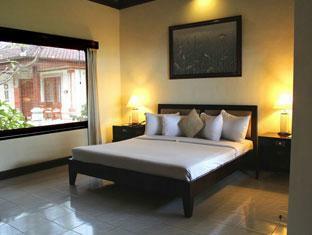 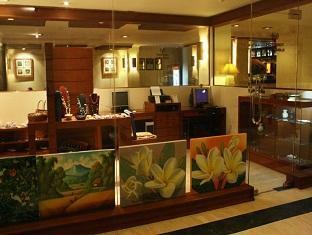 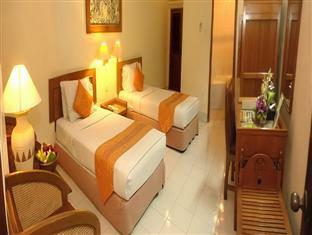 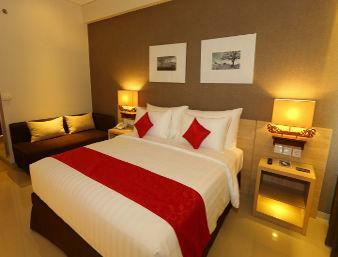 They possess mini bar, complimentary coffee & tea making facilities, a variety of of TV’s channels. 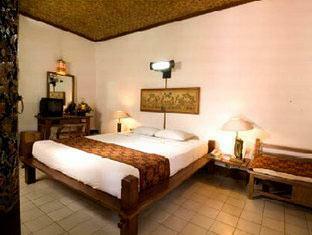 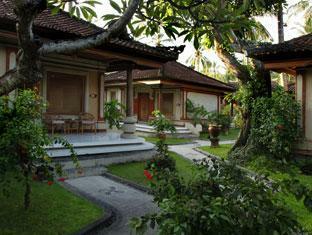 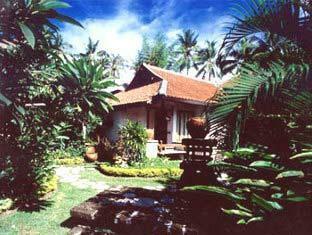 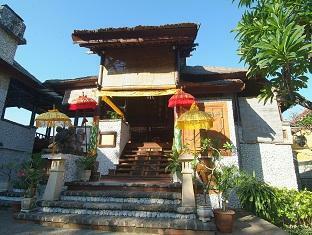 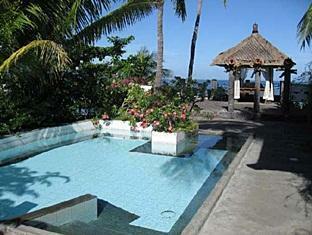 A beautiful haven, this hotel provides Balinese hospitality that will give a memorable getaway. 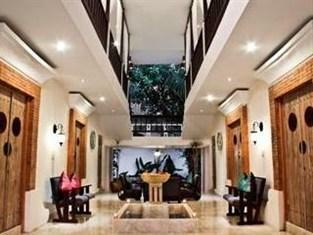 Deskripsi: Providing 23 tastefully designed Balinese-style bungalows, this boutique hotel is located on the beautiful beach of Sanur. 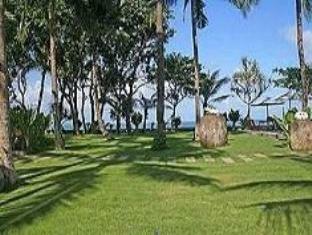 The two-star Diwangkara Holiday Villa Beach Resort & Spa is just a twenty-minute drive from the Ngurah Rai International Airport, and fifteen minutes from Denpasar, the capital city of Bali. 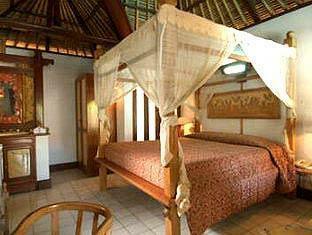 It is also surrounded by Balinese art and craft galleries, shopping arcades, temples, and famous attractions like the Le Mayeur Museum. 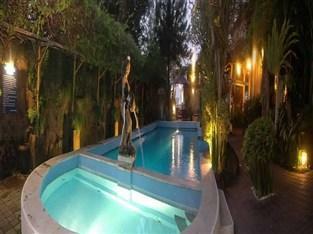 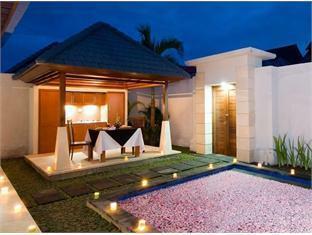 The swimming pool is also set in an open air lounging area, where guests relax and have a drink. 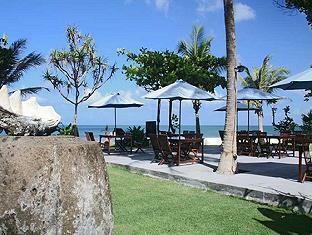 Its onsite open-air restaurant, the Lagenda Fusion Restaurant is directly on the beach overlooking the Mount Agung, and offers international and Asian cuisine. 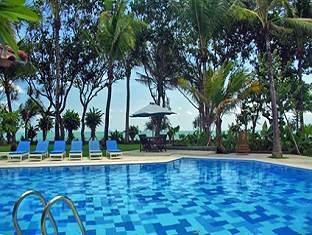 To make your reservation at Diwangkara Holiday Villa Beach Resort & Spa, just enter your travel dates on our secure online booking form and submit. 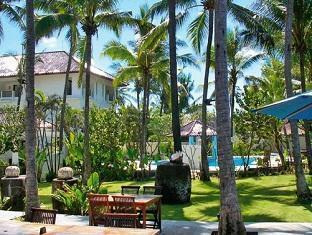 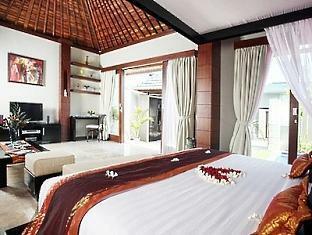 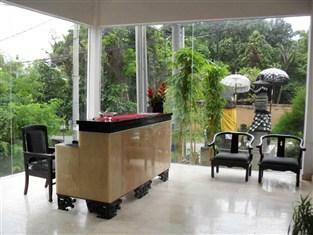 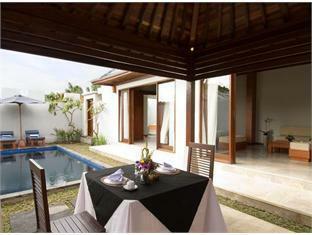 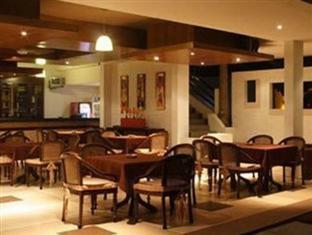 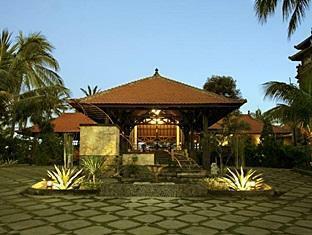 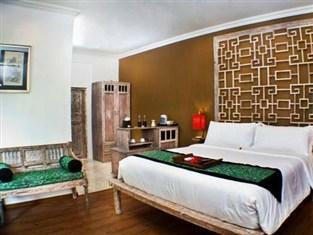 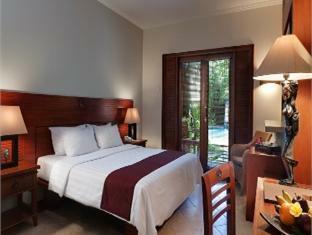 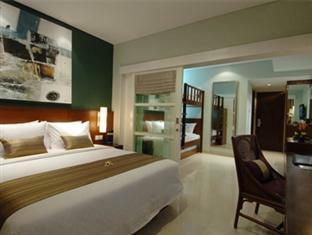 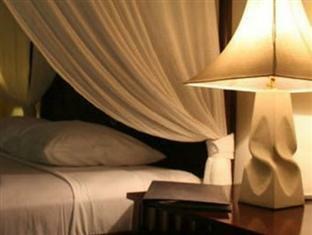 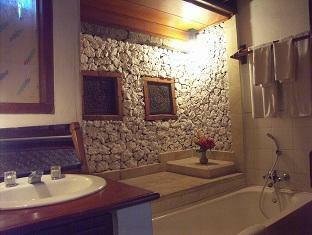 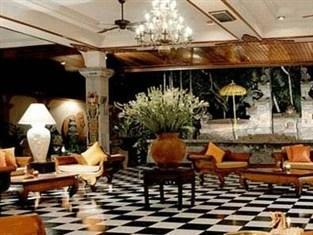 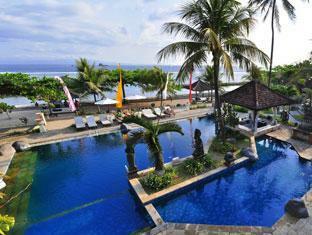 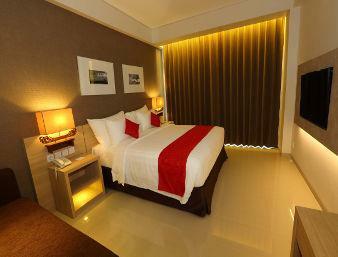 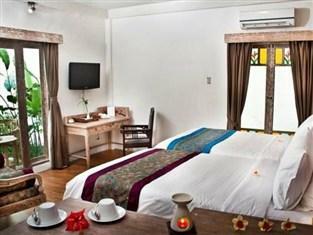 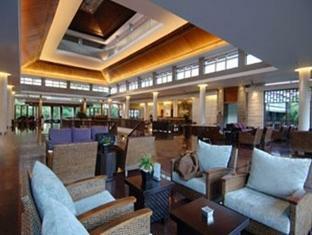 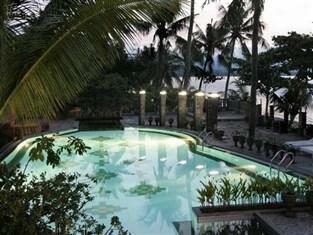 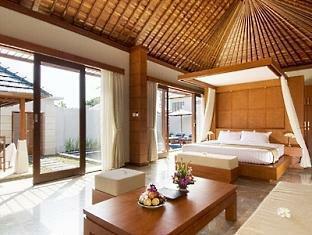 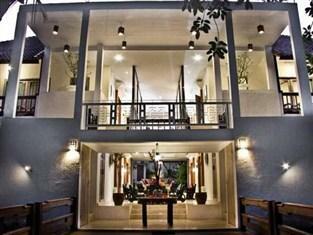 Deskripsi: The Bali Dynasty Resort is one of Balis premiere resorts in located in the relaxed atmosphere of South Kuta. 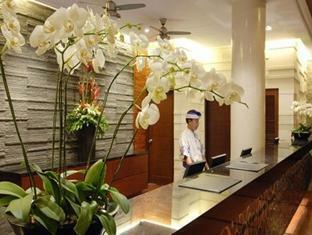 Having recently undergone a multi-million make over, it now provides a luxurious and extravagant environment to their clients. 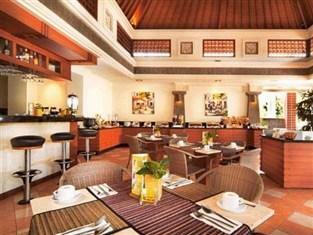 It now offers six restaurants, four bars, three swimming pools, spa villa, exercise room, beach club, kid’s club, meeting facilities and complimentary departure lounge. 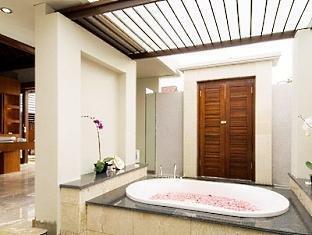 Couples can enjoy the famous Gracie Kellys Irish Pub, relax at the adults only Lazy Pool, enjoy a treatment at the Spa Villa.Kids can enjoy a 56 metre water slide flowing into their own pool, and complimentary entrance to an Enchanted Garden Kids Club with extensive activities. 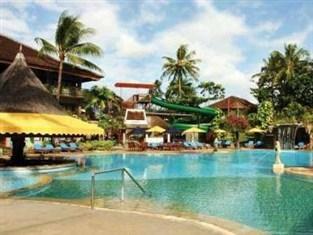 Visit the New Kids Water Fun Zone southern side of the kids pool, next to the Kids club, and have fun with mini water slide, pull ropes, water curtain, tipping cone, bubbler jets, hose jets and tipping trough.